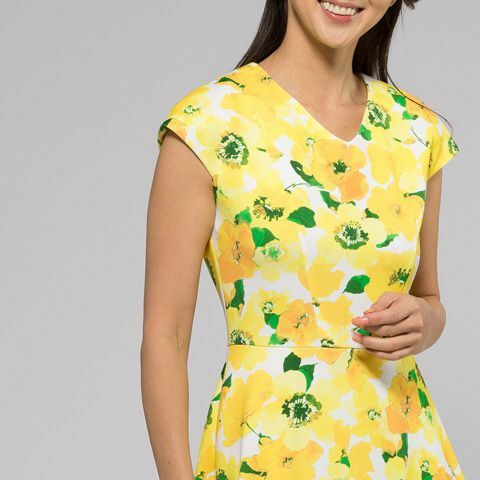 Classic design meets fabulous flare in our charming yellow floral soft flare dress, complete with cap sleeves and a V-neck. Pair with a simple Japan-made knitwear for spring days out and about. kay me's specially chosen fabric blends are designed to move and breathe with you all day long. 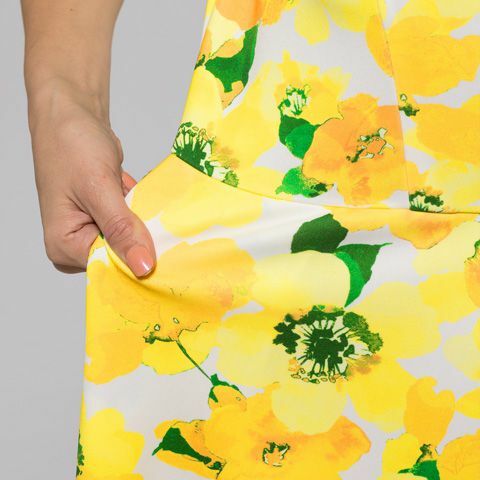 The generously flared skirt lends an effortlessly feminine touch. 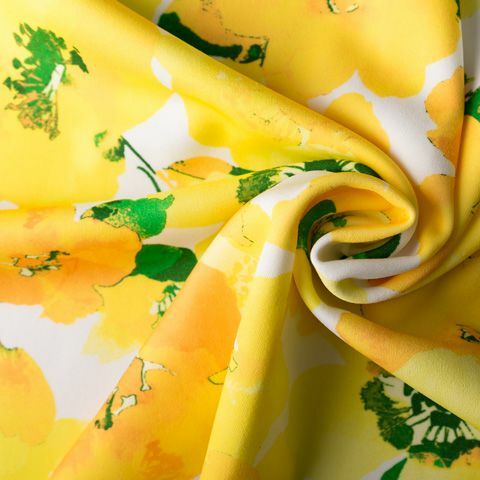 A kay me original pattern, featuring delicate florals in shades of yellow on a pale background.